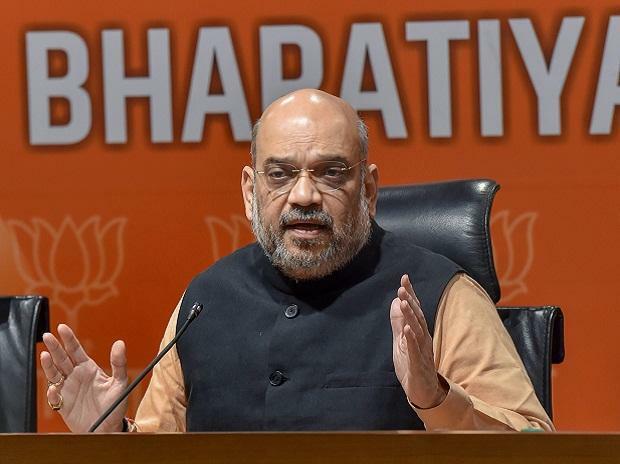 BJP president Amit Shah is scheduled to address a public meeting at Kulia in Cuttack district on Tuesday, barely three days after Congress chief Rahul Gandhi's visit to Odisha when he had fiercely attacked the saffron party as well as the Prime Minister Narendra Modi. Shah's meeting will cover four Lok Sabha segments-- Cuttack, Jajpur, Jagatsinghpur and Kendrapara. These four Lok Sabha seats have 28 assembly segments, said party spokesman Pitamber Acharya on Monday. He said workers from 2,700 polling booths will be attending the meeting. The BJP president's visit is politically significant as he is expected to counter the allegations made by Congress president Rahul Gandhi at a public meeting at Tomando near Bhubaneswar on January 25. Gandhi had alleged that BJP and BJD continued to have a secret alliance and befooling the people of Odisha. He also had charged that the BJP led NDA government was remote controlling Odisha government and its chief minister Naveen Patnaik. Shah's visit is also considered important as he is coming to the state after three back-to-back visits of Prime Minister Narendra Modi on December 24, January 5 and January 15. General election as well state poll in Odisha are expected to coincide this year. The saffron party has been making serious efforts to corner a large number of 21 Lok Sabha seats in Odisha and also overthrow Naveen Patnaik uninterrupted rule since 2000. Meanwhile, BJP Odisha in-charge Arun Singh said party president Amit Shah will also undertake another tour to Odisha on February 3 and attend the party's ST Morcha meeting at Puri. The two-day convention will begin on February 2. Around 5,000 janjati representatives across the country will participate on the first day of the convention while another one lakh people of Scheduled Tribe community will attend the concluding day of the convention, which will be graced by Shah, Singh said.